Socks just might be the perfect project: They require little yarn, are easy to transport, and quick to complete. 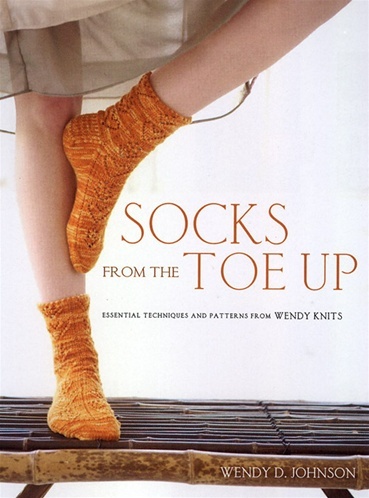 But most crafters learn to knit from the top of the sock down to the toe-and in the process are easily put off by grafting and the chance of running out of yarn partway through. Sharing these same frustrations, author and lifelong knitter Wendy D. Johnson created her own formula for toe-up knitting, and in Socks From the Toe Up she reveals her secrets, as well as 20 of her original designs.